← Have a question? Ask the Bishop! 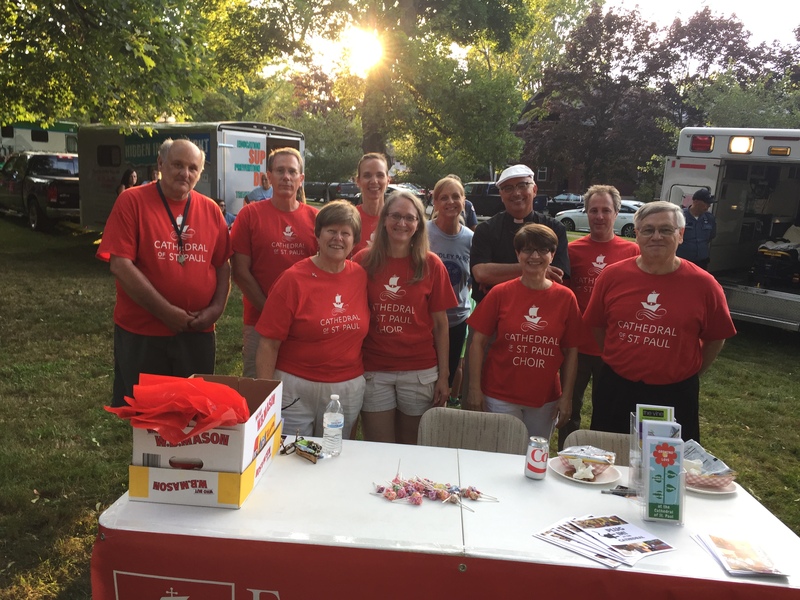 The Cathedral of St. Paul participated in National Night Out on Tuesday, August 1st at Gridley Park on Erie’s lower west side. National Night Out is a national event which seeks to show unity, encourage everyone to play a role in supporting the education of youth in our neighborhoods, and to take a stand against crime in our city by building stronger police-community relationships . More than 1,000 neighbors enjoyed the festivities from 6:00pm to 9:00pm on a beautiful summer evening at Gridley Park. All enjoyed a free hot dog dinner, fun games and activities in which parents and children were able to participate together, and listened and danced to a mix of local musical entertainment. There were also over two dozen social service agencies providing helpful information and giveaways. Police, fire and emergency service providers gave tours of their vehicles and educated young and old about their services. The event is grant funded through the Erie County United Way and additionally sponsored by five neighborhood watch groups and more than twenty five neighborhood businesses and churches. As an inner-city church in the heart of downtown Erie, much of our outreach is focused on our neighbors and National Night Out is just one more example of our ministry to and with our neighbors and we are so thankful for the opportunity. Cass Shimek is the Cathedral Administrator and is a member of the Our West Bayfront National Night Out Committee. This entry was posted in Cathedral, Events and tagged Cass Shimek, Cathedral, Community, Erie, National Night Out. Bookmark the permalink.